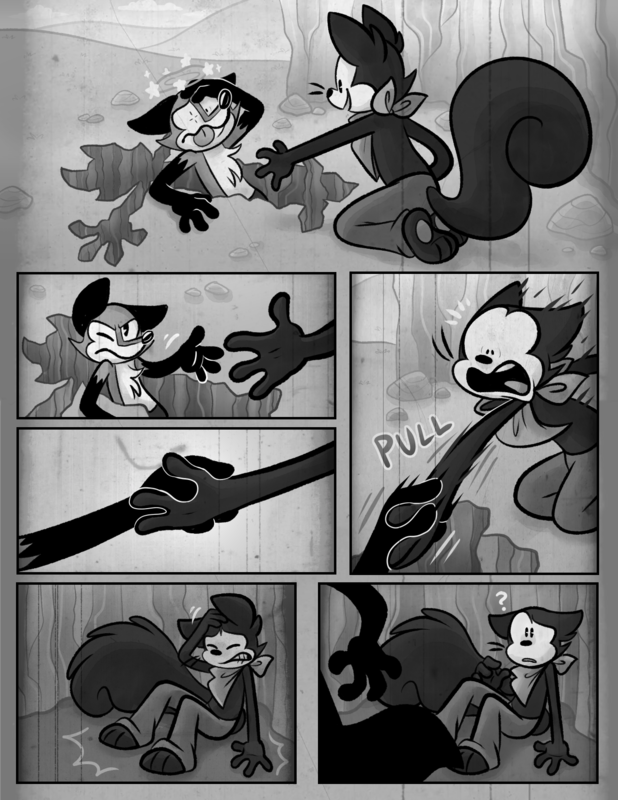 Sammie Squirrel is a slice-of-life tale following the daily misadventures of Sammie, an unemployed Toon actor living in the little city of Doodleton and looking for a golden opportunity to get himself back into the world of show business. With the help of his unique Toon Abilities, as well as his colorful array of pals, Sammie is determined to take his acting prowess to the next level and give Doodleton and the world of Toons something to smile about! 11/29 - I'm alive!!!! Sorry for the year of silence but life throws all sorts of sucker punches at you! Anyway, just dropping by to post page 15 of chapter 1 and reassure everyone that I am indeed still working on Sammie's stories! Updates will continue to be sparse for a while as I am in the process of building up a decent buffer, but hang tight!! The show continues!